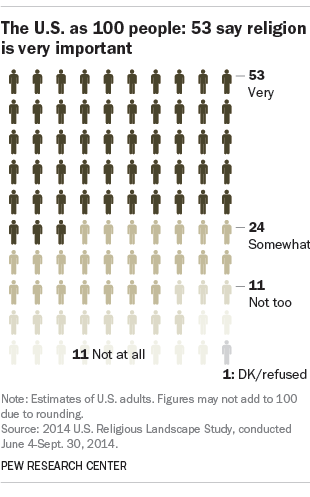 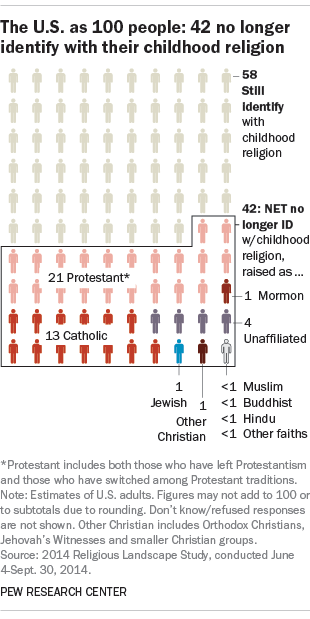 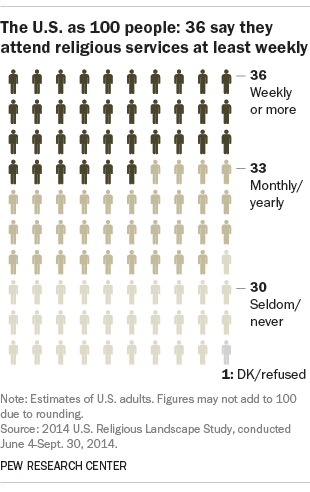 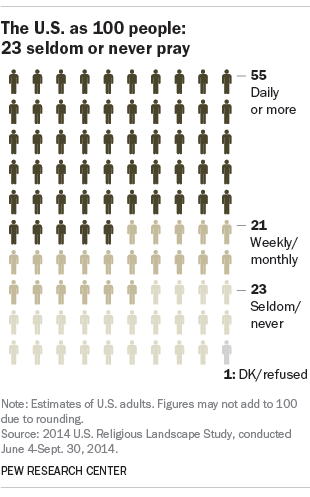 In a U.S. with just 100 people, 89 would believe in God. 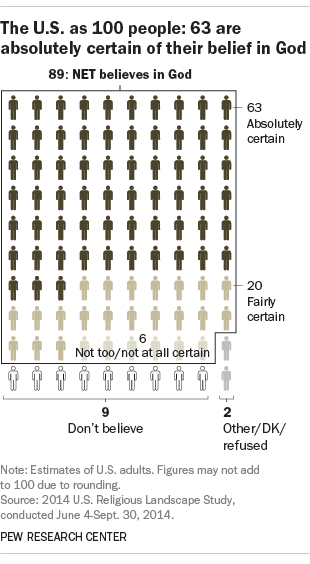 This would include 63 people who would be absolutely certain of their belief, 20 who would be fairly certain and six who would be not too or not at all certain. 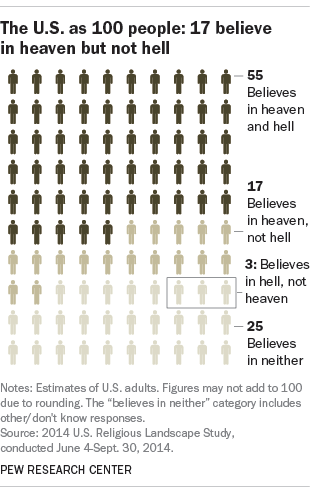 Just nine people would not believe in God or a universal spirit.